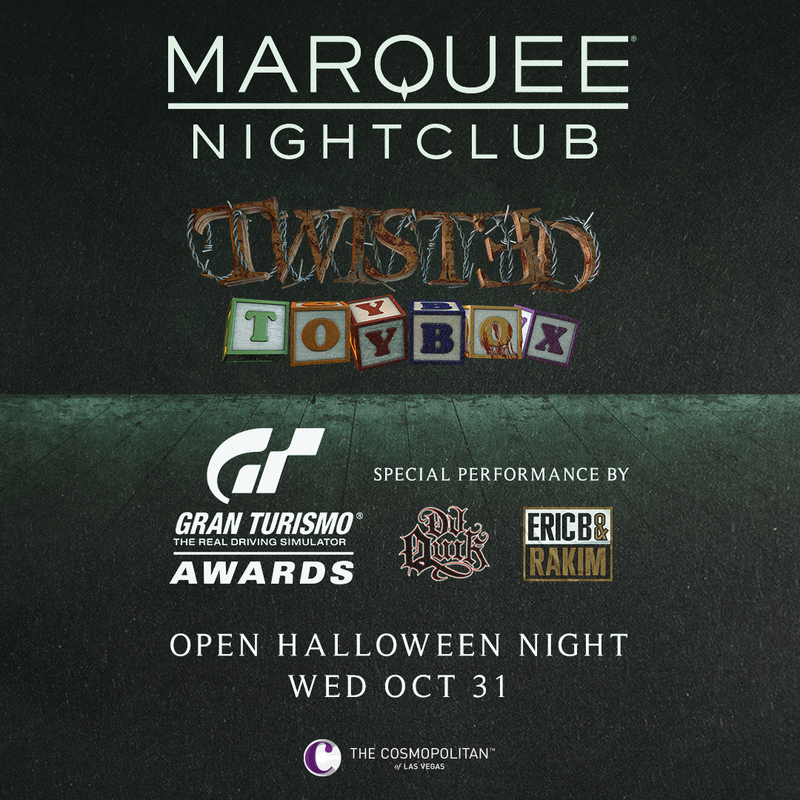 Marquee Nightclub opens on Halloween Night, Wednesday October 31st, for the Gran Turismo Awards with special performances by DJ Quik, Eric B & Rakim! Do you think your car build has what it takes to become digitally immortalized in Gran Turismo? Sony PlayStation returns to the 2018 SEMA Show with the annual Gran Turismo Awards, a search for the absolute best vehicles from the automotive aftermarket. David Marvin Blake (born January 18, 1970), better known by his stage name DJ Quik, is an American hip hop recording artist, DJ and record producer. According to Quik himself, his stage name reflects his ability to produce records in a short period of time. Eric B. & Rakim are a hip hop duo formed in Long Island, New York, in 1986, composed of Eric B. (born Eric Barrier) and MC Rakim (born William Michael Griffin Jr.). AllMusic wrote that “during rap’s so-called golden age in the late ’80s, Eric B. & Rakim were almost universally recognized as the premier DJ/MC team in all of hip-hop.” Tom Terrell of NPR called them “the most influential DJ/MC combo in contemporary pop music period,” while the editors of About.com ranked them as No. 5 on their list of the 10 Greatest Hip-Hop Duos of All-Time.